Like the majority of small business owners, you started with a great idea and built it into a small business. And it’s an exciting experience to see an idea grow into a successful business model. But are you ready for growth and all the challenges that business scalability brings with it? 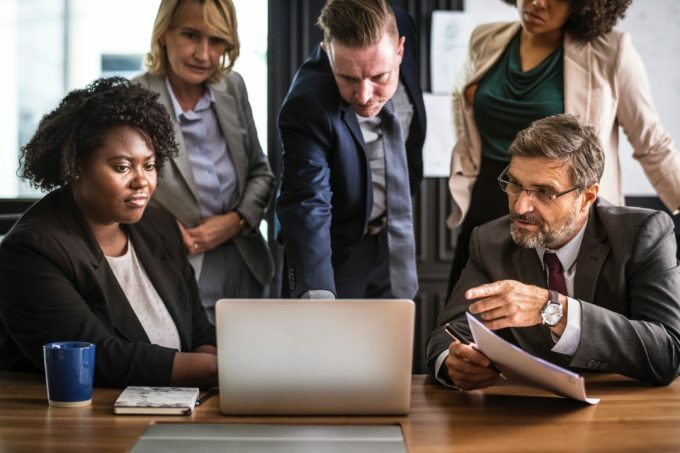 According to the Small Business and Entrepreneurship Council, a 2016 Census Bureau business survey revealed that there are more than five million employer firms in America, yet companies with less than 20 employees make up 89 percent of those firms. And if you add in the total number of nonemployer companies, the percentage of American businesses with less than 20 workers rises to an astonishing 98 percent. These statistics reveal two facts. First, small businesses really do form the backbone of the U.S. economy. For many of these firms, remaining small is a fitting strategy for their business model. And second, these numbers also indicate that scalability in business is a tricky thing to accomplish, since relatively few firms make the transition into medium and large enterprises. Whether you have a product- or a service-based business affects how much your business can grow. But regardless of which category your business falls into, it’s natural to want to expand your business. It’s important to recognize whether or not you have a scalable business to begin with. For a product-based business, the potential addition of a new product line could tempt you into thinking that an increase in sales alone means that the company is scalable. In the case of a service-based business, an uptick in clients might do the same. But in both instances, if you don’t factor in other variables like increased labor, delivery and technology costs, then the businesses can experience a stagnation — or even loss — of profits due to increased expenses related to their growth. So, to determine whether or not your business is scalable, it’s necessary to utilize the scale business model. Research Your Market: There’s no substitute for knowing your market. Remember to look at what makes larger businesses in your industry successful and what sets them apart from smaller competitors. Determine What You’ll Give Up: When businesses scale up, they’re typically faced with having to give up some portion of control, ownership or time. Honestly ask yourself which — if any — of these factors you’re willing to loosen the reins on. Work Backward From Your Goal: Don’t be afraid to state what your ultimate goals and ambitions are for your business. Then, with your end goals in mind, work backward from your vision to establish the best path to grow your business. Automate Repetitive Processes: Instead of opting for the cheapest technology solutions for your present business, consider implementing systems that — like your business — you can scale up in the future. By automating as many repetitive processes as possible now, both you and your employees will be far more ready to concentrate on what’s at stake for your business’s growth. To best determine if your business is scalable, why not choose a business consulting agency with a proven track record of success? At Coachfirm, we’ve been helping small businesses achieve their sales, talent, financial and operational goals for well over 15 years. We’d be happy to do the same for your business. Ready to learn more about our services and give your business the boost it deserves? Contact us today.